SuperCrutyPS, ITA47, M3 SDJ and 10 others like this. Thanks everyone, it was fun having yet another reason to come to the site more often lol. Its funny too, we were at a mom n pop taco stand heading to the in-laws and I had just been talking about how I kind of miss the big lifts n tires look. 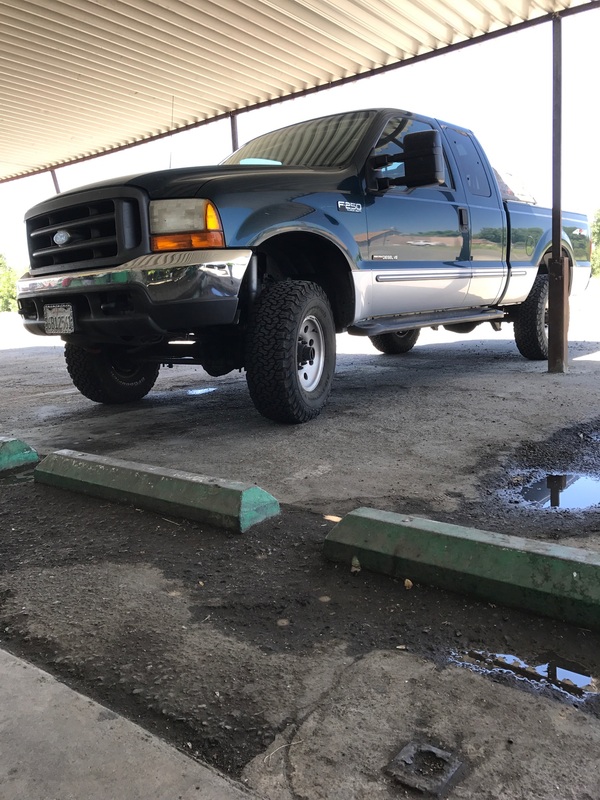 she just laughed and said " see your truck looks big under the cover so eat your tacos already"
[email protected], blue99stroker, JesseKK and 4 others like this. Last edited by JustinOOO9; 10-03-2017 at 03:19 PM. "Rub Some Dirt On It!!!" "God Made Dirt, Dirt Don't Hurt!!!" oops meant this for something else. Last edited by JustinOOO9; 10-03-2017 at 03:26 PM. Congratulations @JustinOOO9 Your CNC FAB swag pack is on the way. Part numbers will help alot too if they are not on our site. Last edited by Heavy_GD; 10-10-2017 at 06:36 AM.